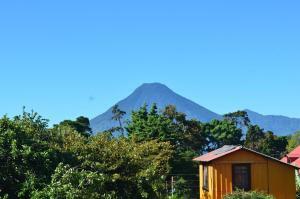 ﻿ Best Price on Apartamentos Los Nazarenos in Antigua Guatemala + Reviews! 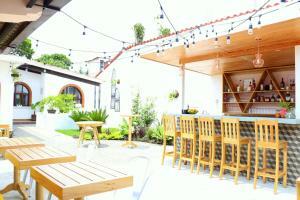 Located in Antigua Guatemala, Apartamentos Los Nazarenos has accommodations with free WiFi and access to a garden. All units feature a living room with a cable flat-screen TV, a fully equipped kitchen with a dining area, and a private bathroom with shower. A microwave is also provided, as well as a coffee machine and a electric tea pot. A continental breakfast is served daily at the property. The condo hotel has a grill. Apartamentos Los Nazarenos provides a terrace. Santa Catalina Arch is a 15-minute walk from the accommodation. A prepayment deposit is required to secure your reservation. The property will contact you with instructions after booking. If the deposit is not paid within 2 days of the property contacting you, your reservation may be canceled. A refundable security deposit of 100 USD is required upon arrival for incidentals. Guests are required to show a photo ID and credit card upon check-in. Please note that all Special Requests are subject to availability and additional charges may apply. Please inform Apartamentos Los Nazarenos of your expected arrival time in advance. You can use the Special Requests box when booking, or contact the property directly using the contact details in your confirmation.